Another beautiful Tuesday has come around which means it’s time to highlight another Mogul who’s apart of the Latina Beauty Matters family. Andrea Avila is a makeup artist and the Founder of Homegirlz Beauty Shop. Listen ladies, if you are trying to go out tonight with your lashes on fleek, then I defiantly would refer you to her store because baaabbbyyy, she has some bomb mink lashes. The lashes drew me to her page, but her fight to the top is what keep me intrigued. Take a look at her story. 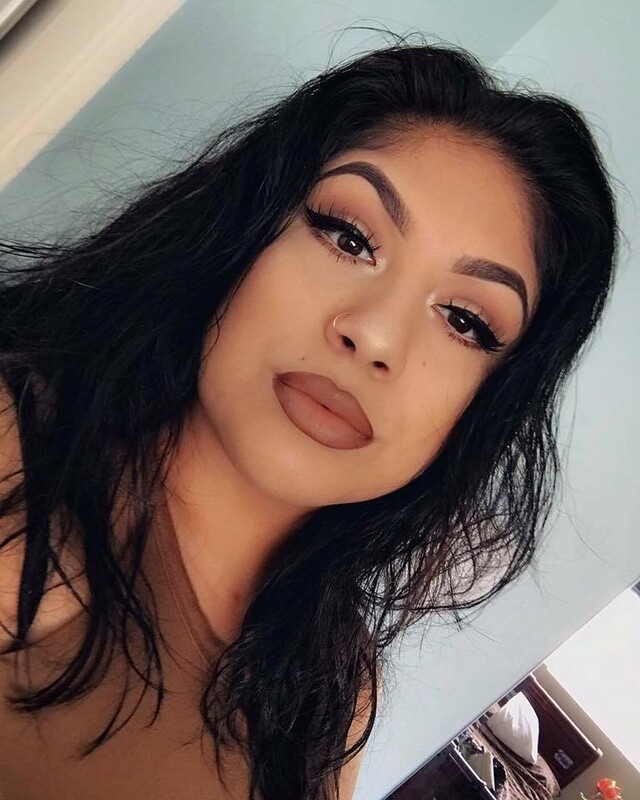 My name is Andrea known as 'slaydre' on Instagram, in 2015 I started to get really involved with make up and posting my beauty looks and reviewing products on social media I was very inspired with beauty gurus on IG, I remember seeing all these small businesses start coming up and creating eyelashes, highlighters and a lot more beauty products. I have always been the biggest fan to small businesses coming up in the beauty and fashion world. I started purchasing and re posting so many small companies on my IG because I was just very impressed with the fact they put their all into starting their own business and into having a products they know people would love. Their strive for success is what really just made me so excited for them. I remember having clients as a make up artist was starting to become something I didn't want to do. I wanted so much more, so I started to strive to get a job in the beauty/make up industry so I can start learning retail and customer service. I received a job at a makeup shop and after my first day I wasn't called back and it really made me feel like I would never be good enough to work at beauty store I felt no motivation it just really put me down. That same year I continued looking and started posting a lot more on social media, I have a very 90s old school vibe and I know a lot of Latinas who have the same style and I just love to see everyone have their own way of putting together their style a lot of similarities to mine. If I can say what really pushed me to start my own business it's exactly that style and my strive to be just like the small businesses I look up to today. I am a Latina both my parents are from Michoacán, Mexico and I want more than a 9-5 job I want to inspire I want to someday hopefully be successful in my business and I want women like myself to know that no matter what you look like you should always feel beautiful. I embrace my beautiful brown skin, dark eyes, my long hair and my beautiful soul. I could say style, colors and content. People who speak positive and support me also many business owners who just like me start somewhere but are inspired to strive for more. All the latinas who support small businesses . A lot of my followers style and beautiful faces. There are down days were I get uninspired and have a lot of negative thoughts, People who make rude comments, People who don't believe in me including family. It means learning how to love every part of yourself, Loving were you come from, the beauty in being Latin itself. Inspiration, Respect and love. Because each and everyone of these are what my business is all about. I just go for it and always remember that if I don't step out of the comfort zone I'm going to stay in the same place. So I gather my thoughts up, meditate and continue the direction I'm going taking risks that I can either learn from or succeed in. Go for it, do what you love and if you get one small opportunity take it no matter how many people say no it won't happen I'm telling you take it. Put yourself in crowds with people in the same boat as you because you're going to learn so much more than wasting time being around people who tell you that you won't make it.